Made using cheap materials and inexpensive process, Depression glass was not intended to become collectible. This molded glassware created in a variety of forms, from bowls and plates to the entire dinner sets, was produced by many glass manufacturers in the US and Canada during the years of the Great Depression. Moreover, in many cases, it was even distributed free. 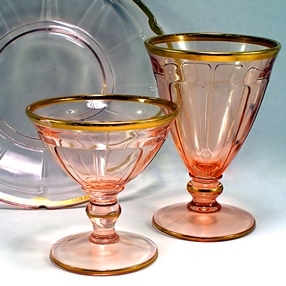 However, while Depression glass is not as collectible as fine china (except for certain rare colors and forms), it may still bear some sentimental value for its owner. This is where the below antique moving tips may come in handy! Moving antiques is impossible without proper packing, so you need to carefully wrap each item in bubble wrap and add some extra padding to the most fragile areas like handles and stems. Place the item in a sturdy cardboard box of the appropriate size and fill the empty spaces with more bubble wrap or another cushioning material. Seal the box with packing tape. Take another box that is slightly larger than the one with the wrapped item inside and repeat the procedure. Place the smaller box inside it and fill in the gaps with cushioning material. If you want to ship several glass items in a single box, make sure each of them is properly packed and boxed before placing these small boxes inside a larger one. Finally, seal the large box and label it with appropriate shipping labels, delivery address, and other necessary information required for the safe antique moving and handling. Keep in mind that at Fine Art Shippers, we provide a full range of local and international antique moving services at reasonable prices. So if you have a large collection of Depression glass or any other fragile and breakable items you do not want to be damaged in transit, feel free to contact our team. We are always ready to help!